Also, the series is available in a boxset for $5.99. 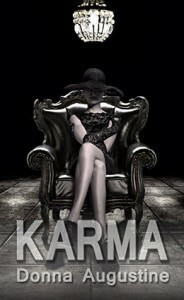 Just looking at the wickedly cool cover for Karma by Donna Augustine, I knew I wanted to read it. I was hooked from the very beginning. She fights Fate tooth and nail. She is a transfer and a problem for him. I love her and her feisty attitude. I don’t blame her for being ticked off, being forced to do a job she didn’t sign up for. “Don’t break her.” I laughed out loud when I read it. In this wildly funny story, the star is a feisty, hard headed girl who thinks she chooses her own path, but does she? 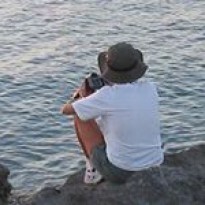 Is our destiny already written or do we have free will? I couldn’t put it down and read it start to finish in one sitting. Oh no. There isn’t a cliffhanger, but there is no end. I hate that, but I loved the book. I picked this up as an Amazon freebie.